As part of an promotional effort, Intel is holding a “personification contest” online in Japan. You know, see which anime style characters be resemble computers that run Intel. Or something. But! This kind of thing isn’t that unusual in Japan. 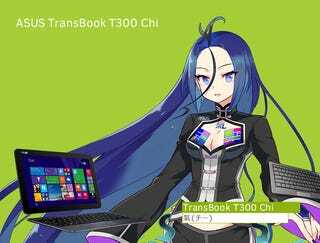 Microsoft, for example, has had several anime style mascot characters. The idea here, though, is that characters are powered by Intel, too. As Japanese website Afternoon News notes, the whole thing is rather ridiculous. That’s the point! It’s a stunt. Online, people are encouraged to vote for their favorites. Which one is yours?